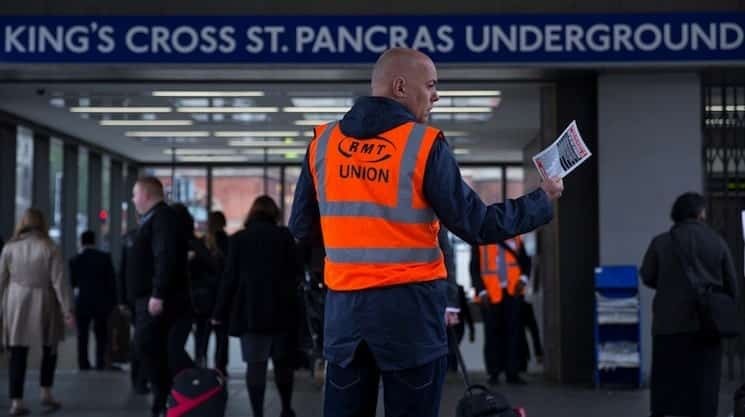 The government has today (Monday) pushed through the Trade Union Bill, which plans to curb worker’s rights and place heavy restrictions on industrial action. The plans require a 50% turnout in strike ballots, with the PCS claiming it has never achieved that number when defending civil service workers. If a strike ballot manages to get over 50% turnout, which is unlikely at best, a minimum of 40% must vote in favour of the strike if it effects “important public services”, which haven’t been fully specified by the Department for Business. This is an attack on worker’s rights to industrial action and shackles any worker’s ability to challenge unfair decisions regarding vital issues such as pay and conditions, taken by their employer. Make no mistake, there is no current striking problem in Britain but the government could be stepping closer towards one. Unions are calling for industrial action if the bill goes ahead, with worker’s being unable to withdraw their labour, should they choose to do so. Should Unite, with 1.3 million members, support reactionary industrial action, the government could have a crisis on their hands sooner than they think. Jeremy Corbyn’s Labour are fiercely and unanimously opposing restrictions to trade union activities, with new Shadow Business Secretary, Angela Eagle claiming the bill is the “largest and most partisan attack on 6 million trade union members” in years. Ideologically-driven restrictions on worker’s rights, which are contained within the Trade Union Bill, are an attack on democracy, with striking workers having to wear official armbands or face up to £20,000 in fines. The ending of the check-off system, in which unions collect subs from salaries, will shrink union memberships dramatically. While the Conservatives continue to accept large donations from big business and other corporate affiliates, funding for the Labour Party is clearly being targeted as trade union members will have to submit an official request for their memberships to go to the Labour Party in writing. But this is not just about cutting off funding for the Labour Party. Trade unions will now be largely unable to fund campaigns on equal pay, gender equality and against other discrimination in the workplace. Curbing trade union actions in such an authoritarian way goes hand in hand with Conservative opposition of ‘social Europe’, which the Prime Minister will seek to renegotiate before the impending EU referendum. The government have brought this bill to the house on the day that Jeremy Corbyn forms his new shadow cabinet, so naturally it has had less media attention that it should have had given the scale of the political news in the last few days. Former Tory leadership candidate David Davis MP has voiced displeasure at certain aspects of the bill, claiming that elements requiring striking workers to give their details to the police, represent something out of Franco’s dictatorship in Spain. Involving the police in strikes so heavily is a move towards the criminalisation of picketing, the TUC claims. Undermining the workers themselves will be completed when employers are allowed to use agency staff to replace striking workers. The strike thus becomes almost pointless as the employer will surely not be effected by the loss of workers, so nothing will change for exploited employees. Most European countries don’t have any such turnout thresholds which restrict strikes and many simply need a majority in the workplace, rather than nationally. With the UK already having some of the most restrictions on trade unions in Western Europe, the Trade Union Bill clearly seeks to limit any possibility in which a strike can take place when employees are exploited. There isn’t a problem with the trade union movement in the UK, and the government is trying to fix something that isn’t broken for purely ideological reasons. Surely if the government wanted to come across as the ‘party of working people’, they should start acting like it at least.